OPENING RECEPTION: Friday 3/25/2011 - meet the artist who will talk about his work and book signing from 8pm-10:30pm. The Montecristo Lounge of Hollywood. 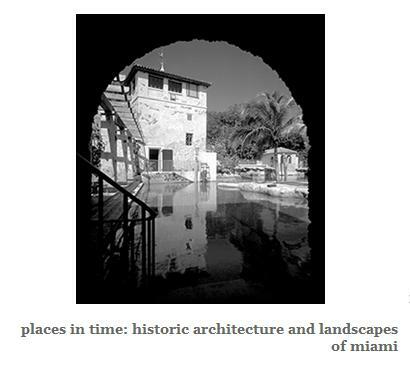 This collection of work is one of the most sensitive and revealing records ever assembled of the richly historic architecture and landscapes of Dade County. " This is historic Miami at its best. " Charleton Tebeau. This exhibit premiered at The Historical Museum of Southern Florida in April 1994, and was on view for six months. The collection took five years to photograph, edit, print, and research. A book of the same title was published by Florida International University School of Design. 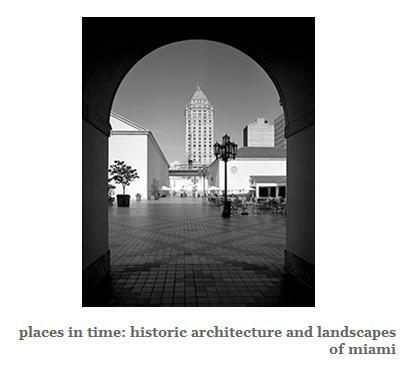 South Florida photographer, John Gillan, received several awards for the book and exhibit including " Architectural Photographer of the Year" from the American Institute of Architects. Photographs - 4" x 5" and 8" x 10" original platinum prints all printed by the photographer. 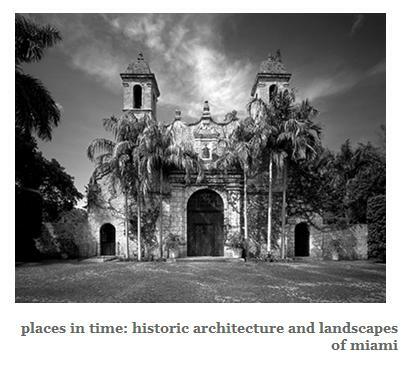 Text, anecdotes and quotes collected from Miami's pioneers, historians and natives. This collection can be rented in whole or in part to suit your space requirements. Prints are available for purchase at the event. The exhibit will be on display until April 22, 2011 and can be viewed by appointment after the March 25th opening. You can usually catch John there on Friday evenings, let us if you will be stopping by.